There will be good discussion on "very serious issues" between U.S. President Donald Trump and his Chinese counterpart Xi Jinping on Saturday but any agreement will be "entirely up to" the two leaders, U.S. Trade Representative Robert Lighthizer said on Friday. 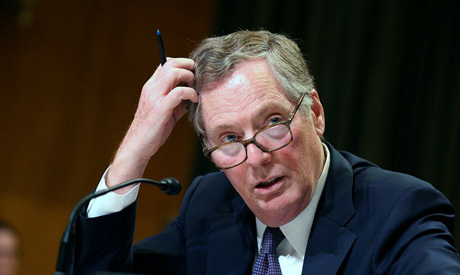 Lighthizer said he is sure there will be a "positive feel" on both sides after the talks and said he would be surprised if they were not a success. But he steered clear of offering any clear statement on whether Trump and Xi are likely to resolve their trade differences.